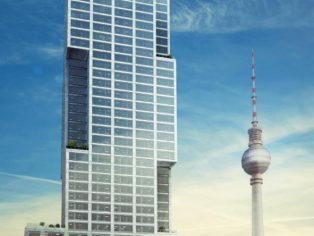 Plans have been approved for Berlin’s first tall residential tower, located on Alexanderplatz in the heart of central district Berlin-Mitte. 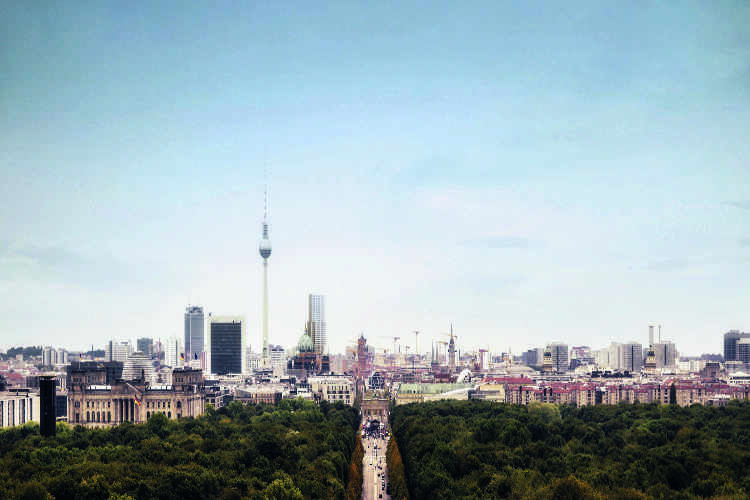 Set to change the face of the German capital city’s skyline, the 150 metre Alexander Tower will span 35 floors, providing 377 apartments, commercial and retail space, spa and gym facilities, private cinema, residents terrace and club levels, as well as underground parking facilities for cars and bicycles. Plans for the Alexander Tower were first set out in the city’s Master Plan in 1994, as part of an initiative to regenerate the area around Alexanderplatz and create a thriving hub in the centre of Berlin. Following years of discussions and alterations to the proposals, the tower received the support of the Senator for Urban Development and the Environment, as well as the Secretary of State for Construction and Living resulting in full approval by the local Senate. The Television Tower aside, Berlin has been a predominantly flat city since its creation in the 13th century. Despite being the capital city of Germany the country’s main business centres are the cities of Frankfurt and Hamburg. 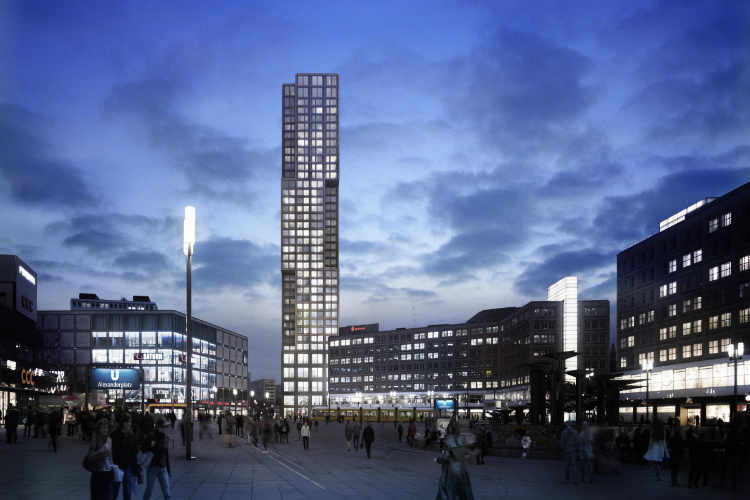 Following the approval of the Alexander Tower it is expected a number of other tall towers planned for Alexanderplatz will be approved, triggering a major transformation of the city, making it a more attractive business and investment destination. Berlin-Mitte is well-known as the cultural quarter of Berlin, with countless museums on Museum Island, a UNESCO world heritage site, the Nikolai Quarter, Berlin’s cradle, Hackescher Markt with its diverse offering of shops, restaurants and cafés and Monbijou Park. 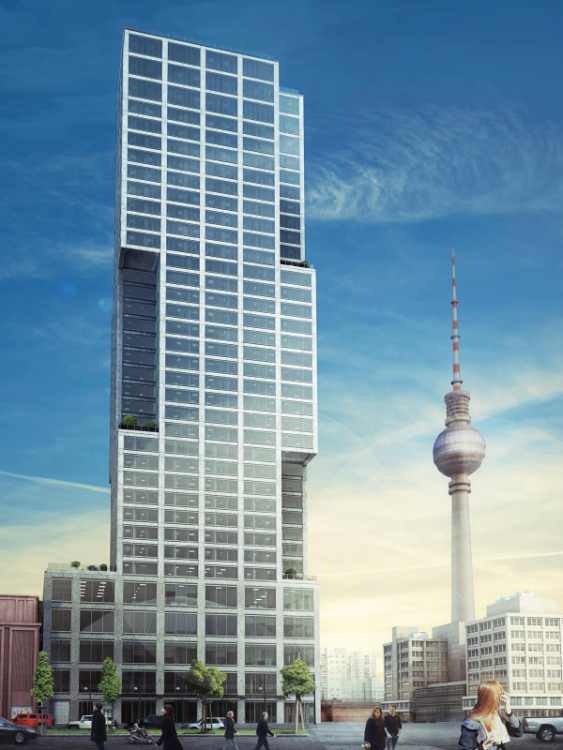 The developer behind the Alexander Tower, MonArch, is currently finalising interior layouts and designs, with a host of high-profile designers currently in talks to provide a scheme of work that will set a new standard of living in Berlin. 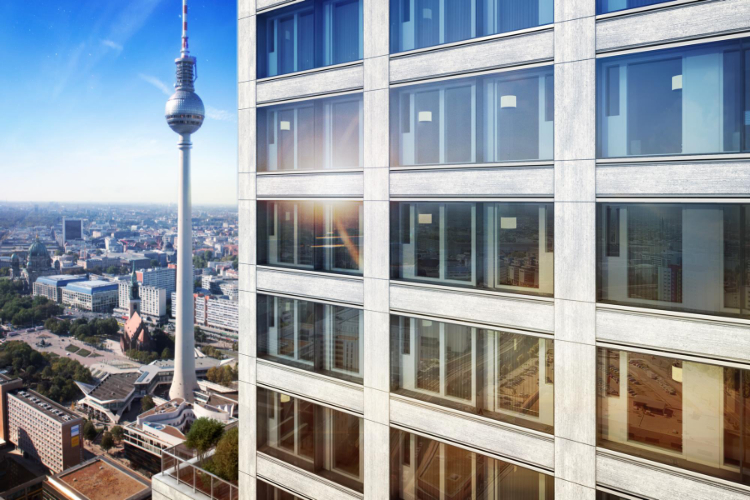 Berlin’s leading real estate agent, BEWOCON, is exclusively marketing the tower, with the full sales launch expected to commence in Q1 2019.